For most of the post-Cold War period, Russia did not avoid cooperating with the North Atlantic Alliance, seeking instead to make NATO change its hitherto character from a military bloc to a typically political alliance. For over two decades, NATO had been committed to holding a dialogue with Russia while establishing partnership relations with its authorities. This dramatically changed in 2014 when NATO suspended all practical cooperation with Russia yet keeping political and military channels of communication open. The Alliance is presently ready to enter a dialogue with Russia, however expanding its containment and deterrence potential. Over the past five years, tensions have mounted between Russia and NATO, bringing a risk of the most serious direct armed conflict for the first time in decades. Still, such a scenario is unlikely to materialize in the short run. “A revisionist Russia is the primary threat to a stable Euro-Atlantic security environment,” the commander of NATO forces in Europe, U.S. General Curtis Scaparrotti, said in testimony before the U.S. Senate. He warned against an ever-growing threat from Russia while advising the U.S. administration to deploy more servicemen and naval vessels to Europe. When briefing lawmakers from the U.S. Senate Armed Services Committee on March 5, 2019, Scaparrotti admitted that “given Moscow’s demonstrated willingness to violate international law and legally binding treaties, and to exercise malign influence, Russia threatens the United States’ vital national interests in preserving a Europe that is whole, free, and at peace.” During a speech in the European Parliament just several days earlier, NATO’s Deputy Supreme Allied Commander Europe James Everard said that Moscow’s annexation of Crimea and aggression in Ukraine has fundamentally changed the Euro-Atlantic security environment. “NATO now has a state-owned competitor – Russia. But we are not in a time of strategic confrontation, but rather in a time of strategic competition,” he claimed. What seems dangerous, Russia, which has always striven for constructing strategic barriers, now wants to rebuild its position, which is to be done by destroying the existing international order. General Everard stressed that the Kremlin’s present aspiration is to conduct rapid campaigns that last for 30 to 60 days and are aimed at achieving specific goals within a particular geographical area. No NATO official still believe five years after the Kremlin’s annexation of Crimea that Russia and the Alliance will establish friendly ties comparable to those sustained back in the post-Cold War era. Moscow’s annexation of Crimea and aggression in Ukraine has fundamentally changed the Euro-Atlantic security environment. The dissolution of the Soviet Union and the end of the Cold War eventually halted the rivalry between two major political and military blocs. Although referred to as global, it was essentially focused on Europe as the main field of between Russia and the West. Facing its very first challenge, NATO was bound to work out an appropriate formula for establishing improved relations with its former enemy. 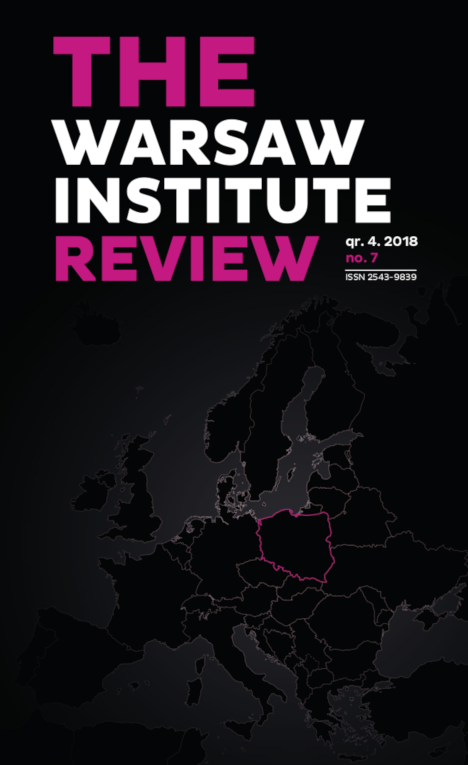 In November 1991, six months after the collapse of the Warsaw Pact, NATO published its innovative strategic concept, under which the Alliance’s military presence in Europe would be significantly reduced, with NATO member states aiming to establish close ties with their former opponents. Formal contacts and cooperation between Russia and NATO began in 1991, within the framework of the North Atlantic Cooperation Council. Founded on December 29, 1991, the institution comprised member states of NATO, Central and Eastern European countries and former republics of the Soviet Union. When joining the Council, Moscow was in hopes of using it as a tool for exerting an impact on most regional decisions. Nevertheless, it soon became evident that Russia could not expect to be treated better than any member of the Council. Due to its consultative and, more importantly, multilateral character, the cooperation ceased to correspond to Moscow’s prior expectations as the Kremlin aspired to be distinguished as a separate NATO partner. NATO-Russia bilateral relations began to develop in 1992, as exemplified by the fact that the Russian defense minister took part in a special meeting of defense ministers of NATO member states in May 1992 while only a month earlier the Chief of Russia’s General Staff participated in a session of the NATO Military Committee. The aspirations of the Central European countries for membership in NATO caused sharp reaction from Moscow, because Russia did not want to give up influence in the former Eastern bloc. Russia had no intention to give in its considerable influences in the former Eastern bloc it had formally lost between 1989 and 1991, which was why Central European aspirations to join the North Atlantic Alliance sparked off a sharp reaction from Moscow. Russia’s minimal plan assumed a buffer zone between Russia and NATO to be set in Central and Eastern Europe. In January 1994, the North Atlantic Council adopted the Partnership for Peace program enabling NATO and its partner countries to share information while non-Alliance states were permitted to hold joint military drills and upgrade their military forces in accordance with NATO standards. In June 1994, Russia became the first country to join NATO’s PfP initative of practical bilateral cooperation between NATO and partner countries. 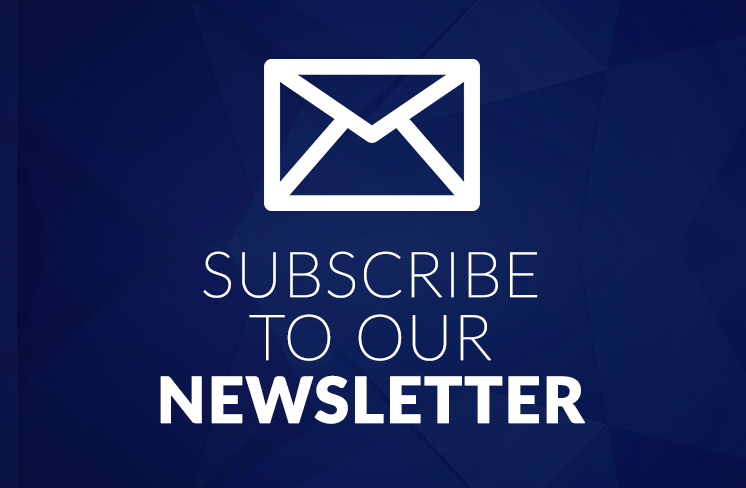 The Brussels Summit Declaration defined the goals of PfP as expanding and intensifying political and military cooperation in Europe, increasing stability, diminishing threats to peace, and building strengthened security relationships. Moscow’s initial enthusiasm for the PfP platform eventually faded after it realized that the platform was not an alternative to NATO membership, aimed at freezing the geopolitical situation in Central and Eastern Europe but emerged rather as a waiting room for NATO aspirants, leading them through preparatory processes before joining the Alliance. Like in the North Atlantic Cooperation Council, Russia’s position in the PfP would correspond to those assumed by other NATO members, which failed to materialize Moscow’s aspirations to become an independent partner. When NATO announced at the Brussels Summit in 1995 “Study on NATO Enlargement”, a document that enlisted all specific conditions to be met by NATO candidate countries, Moscow elites needed to acknowledge the fact of the Alliance’s expansion into the former Russian sphere of influence. The Kremlin adopted a distinct tactic whose main goal was to negotiate adequate concessions from the Alliance, downplaying the role of newly joined NATO members. For instance, Russia suggested to transform the Alliance into a collective security structure or to be granted a permit to participate in decision-making processes within the framework of the NATO Political Committee. All in all, Moscow tacitly agreed to enlarge the Alliance, thus managing to become a NATO special partner, which was the strategic goal it had been pursuing since 1991. 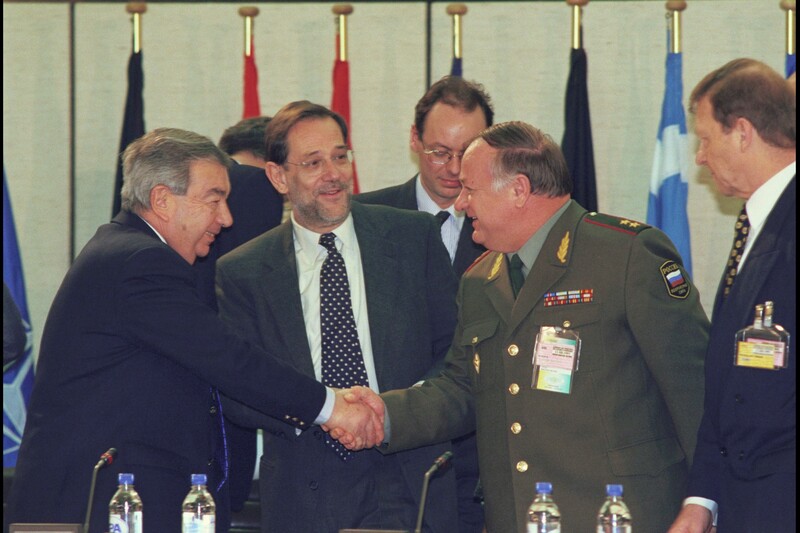 As a result of several rounds of talks between NATO and Russia, represented respectively by Secretary General Javier Solana and Foreign Minister Yevgeny Primakov, the foundations for mutual partnership could be laid, defining further cooperation between the two entities. 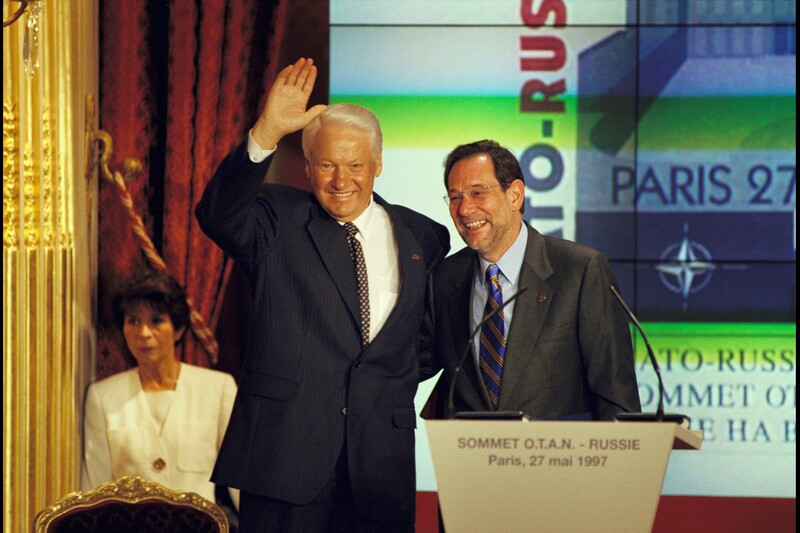 On May 27, 1997, NATO leaders and President Boris Yeltsin signed in Paris the NATO-Russia Founding Act, a document in which they expressed their determination to “build together a lasting and inclusive peace in the Euro-Atlantic area on the principles of democracy and cooperative security.” The Act established the goal of cooperation in areas such as peacekeeping, arms control, counter-terrorism, and counter-narcotics. 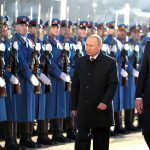 NATO and Russia agreed to base their cooperation on the principles of human rights and civil liberties, refraining from the threat or use of force against each other or any other state. Signing the declaration „NATO-Russia relations: new quality” in 2002 gave Russia the status of a privileged partner of the Alliance. This was favored by Putin’s alliance with the U.S. in the war on terrorism. Since the beginning of negotiations, Russia’s goal was to prevent NATO from deploying its forces to the territory of newly accepted member states as well as to establishing foreign military facilities or to develop allied infrastructure. The Alliance, in its turn, stressed that it had no plans to place nuclear weapons nor did it intend to deploy “significant” NATO troops in the area. Nonetheless, it did not accept Russia’s ban on expanding NATO military infrastructure in the new member states. Moscow could, therefore, interpret the Paris agreement as its success, thanks to which it gained influence to shape security in Europe while downplaying the status of newly accepted countries. This corroborated Russia’s unique status within NATO structures. In 1998, the Kremlin decided to establish a diplomatic mission to NATO with the goal of improving regular contacts and cooperation. In 2001, NATO opened the Information Office in Moscow while a year later – the Military Liaison Mission. In 1999, the Alliance published another strategic concept that obliged members of the Alliance to collective defense and reinforce peace and stability in the broad Euro-Atlantic area and – if necessary– also outside the area as outlined in the treaty. Later this year, Moscow needed to swallow a bitter pill after Poland, the Czech Republic and Hungary joined the Alliance and NATO launched a military intervention in Kosovo, yet again undermining Russia’s position as a world superpower. The Alliance, which had not received a prior consent of the UN Security Council and ignored Russian efforts, conducted air strikes against Serbia, or Moscow’s traditional Balkan ally. This came as a shock for the Russians that had yet to acknowledge their much weaker position that prompted them to gain political advantages of the partnership instead of struggling against NATO. This marked the period of the friendliest ties between Moscow and the Alliance in the post-Cold War era, coinciding also with personnel reshuffles in the Kremlin. In 2000, Boris Yeltsin, whose policy only a few months earlier had been humiliated by NATO forces in the Balkans, was relieved from his responsibilities that were later taken on by Vladimir Putin. Suspended in 1999 in response to the Alliance’s military intervention in Yugoslavia, NATO-Russia relations were unfrozen only in February 2000 while Putin’s ambition was to enhance bilateral ties. On March 5, 2000, he said that Russia might even joint NATO political structures, which meant a return to previous concepts. Actions performed at that time by the new Russian leader could be referred to as reasonable ones as Russia did not hold a strong position in talks with the Alliance, which prompted the Kremlin to fall back on its former strategies to influence NATO policy by means of mutual cooperation. This is why what happened on September 11, 2001, emerged as a valuable gift for Putin. The Kremlin’s prompt offer to form a joint U.S.-Russian coalition in their fight against global terrorism might have finally resulted in granting Moscow its longed-for status conforming its special partnership within the Alliance. In October 2001, Putin stated that Russia could eventually agree to further enlargement of the Alliance provided that it launched a reform process aimed at reorienting its character from the military towards a purely political one. 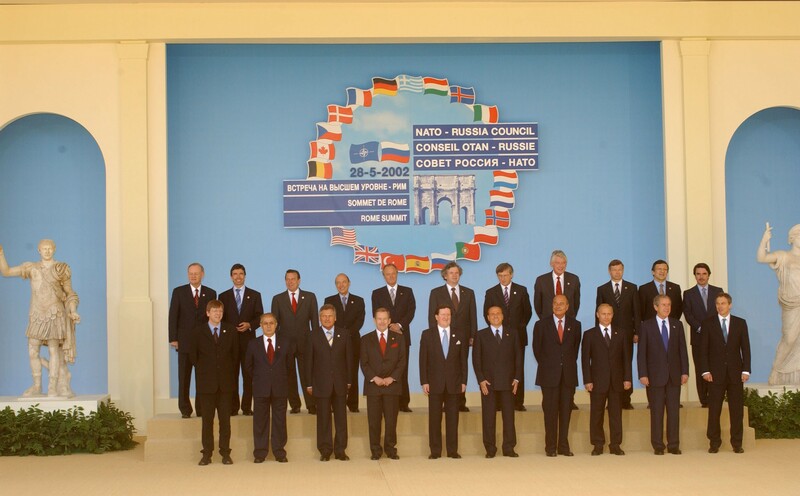 NATO-Russia negotiations on their reshaped partnership resulted in the summit in Rome held on May 28, 2002, at which NATO leaders and President Vladimir Putin signed a declaration titled “NATO-Russia Relations: A New Quality.” Most importantly, this established the NATO-Russia Council as a consensus-based body of equal members. Russia was at that time the only NATO partner offered such a privileged partnership. This stemmed to a great extent from the situation worldwide after the September 11 attacks and for Washington, Putin proved to be a desired ally in countering terrorism. The NATO-Russia Council led to cooperation in areas such as counter-terrorism, crisis management, arms control and theatre missile defense. NATO and Russia cooperated on supporting Afghanistan, including the latter’s aid for the UN-mandated International Security Assistance Force (ISAF). Also, Moscow provided transit routes for ISAF, counter-narcotics training for officers from Afghanistan, Central Asia and Pakistan, and support for the Afghan army’s helicopter fleet. 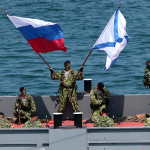 A couple of Russian naval vessels took part in the NATO-led Operation Active Endeavour aimed at counteracting terrorism in the Mediterranean Sea and military operations to combat piracy in the Horn of Africa. Before withdrawing its troops in early 2003, Russia offered aid for NATO operations in Kosovo and Bosnia and Herzegovina. At that time, both sides agreed to adopt procedures for joint peacekeeping missions, along with a detailed plan of cooperation in the area of military drills. In addition, a special NATO-Russia hotline was established. The relations between Moscow and Brussels deemed friendly enough, preventing the former from disregarding the Alliance’s enlargement in 2004, three of seven new NATO members were in the past part of the Soviet Union. The chapter of the friendliest NATO-Russia relations after 1991 ended in early 2007 when Putin managed to solidify his power while growing oil prices provided Moscow with the inflow of petrodollars that significantly raised the standard of living in the country while enabling to rebuild Russia’s military potential. Now it was the time for the Kremlin to take revenge on NATO over what had taken place sometime before when the Alliance had enlarged to former Soviet republics and the Russian army had been involved in the infamous incident at Pristina airport during the Kosovo war. Good relations between Russia and NATO ended in 2007. Putin’s power has been consolidated, the oil price boom has raised the standard of living and provided funds for the reconstruction of military potential. The time has come for a geopolitical rematch. Speaking at the Munich Security Conference on February 10, 2007, Putin stated the North Atlantic Alliance is one of Russia’s enemies, saying that NATO enlargement of former Soviet republics aimed to hit Moscow, unable to acknowledge the Alliance’s plans to accept Ukraine and Georgia as next member countries. In April 2007, Vladimir Putin announced Russia’s intention to partially suspend its compliance with the Treaty on Conventional Forces in Europe (CFE), explaining that Russia, contrary to the West, had disarmed its military elements. At the NATO summit in Bucharest a year later, Putin told President George W. Bush that Ukraine does not deserve its own statehood. As a result of resistance from Germany and France, it was decided at the meeting not to include Ukraine and Georgia within the Membership Action Plan (MAP), which was for both the next step on their direct way to membership. Moscow saw that as a sign of NATO’s weakness and a go-ahead for annihilating Georgia’s Euro-Atlantic goals and pursuits. Russia’s military action in Georgia in August 2008 led to the suspension of formal meetings of the NATO-Russia Council and cooperation in some areas. This was fuelled by Russia’s recognition of the Georgian regions of Abkhazia and South Ossetia as independent states. At the NATO Summit on 4 April 2009, NATO leaders acknowledged disagreements with Russia over Georgia but decided to resume practical and political cooperation. They also expressed their readiness to make the NATO-Russia Council a more efficient vehicle for cooperation. This coincided with electing Barack Obama as the president of the United States. His policy took into account political rapprochement with Russia (so-called reset policy), fostered by assuming the post of Russian President by Dmitry Medvedev, a politician perceived in the West as a more moderate and liberal politician than his predecessor. Although Russian aggression in Georgia in 2008 soured bilateral relations between Moscow and Brussels, U.S. Pentagon did not seem to see it as a matter of concern, hoping instead that this will never happen again. When drafting defense documents in 2010, the U.S. State Department analysts suggested including a scenario of counteracting Russia’s aggressive behaviors, which was, however, criticized by the then U.S. Defense Secretary Robert Gates. Prevalent at that time, the above reset policy appeared highly unfavorable for a number of countries, including Poland, a symbol of which remained an anti-missile shield. On August 20, 2008, U.S. Secretary of State Condoleezza Rice traveled to Warsaw where both parties signed an agreement regarding the anti-missile shield to be deployed on Polish soil. The Americans were initially eager to install the missile defense system, tasked with shooting down long-range missiles in the middle stage of their flight, which was to be stationed in Redzikowo, Poland. The base staff was to consist of 1,200 people while the neighboring Czech Republic was to host an early-warning radar. However, on September 12, 2009, Barack Obama eventually withdrew from the plan, saying that he reviewed an approach to missile defense in Europe. Under the new plan, he stated, the United States will seek to cooperate with Russia. During the Lisbon Summit in November 2010, NATO leaders and President Dmitry Medvedev agreed to embark on “a new stage of cooperation towards a true strategic partnership”, based on the goals and principles of the NATO-Russia Founding Act of 1997 and the NATO-Russia Rome Declaration of 2002. The Alliance invited Russia to explore the potential for expanded cooperation on missile defense, and the two agreed to further strengthen their cooperation in the fight against terrorism. In the years that followed, NATO and Russia worked together in support of the Afghan army’s helicopter fleet, conducted joint naval drills, and discussed a joint mission to help dispose of Syria’s chemical weapons. In his turn, Putin could be satisfied while observing the reduced U.S. involvement in NATO forces in Europe; the number of American servicemen dropped from 300,000 in 1991 to no more than 60,000. 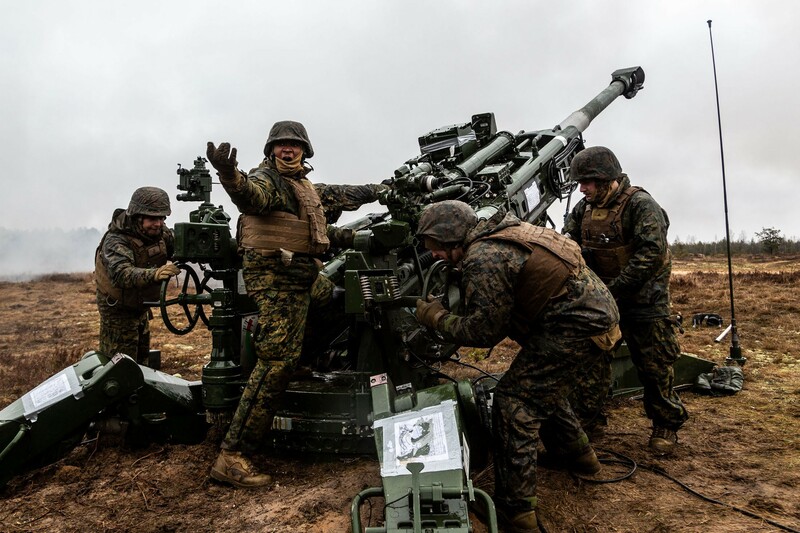 Obama accelerated the process by pulling out 15 military facilities and most combat units, as evidenced by the U.S. administration’s decision, announced in 2012, to withdraw two Army heavy infantry brigades from the German territory. Interestingly, the 64-page Quadrennial Defense Review, published by U.S. Pentagon at the beginning of March 2014, contained only one paragraph that mentioned a plausible threat from Russia yet in a slightly mitigated way. “Russia’s multi-dimensional defense modernization and actions that violate the sovereignty of its neighbors present risks. We will engage Russia to increase transparency and reduce the risk of military miscalculation,” the document stated. The first serious tensions between Russia and the West mounted after the NATO intervention in Libya. Medvedev’s go-ahead to perform such action was criticized by Prime Minister Vladimir Putin while anti-Western sentiments prevailed in Moscow at that time. Both Putin and his Russian hawks saw the Arab Spring of 2011 as a Western conspiracy, with Syria emerging as a top field of competition. Putin, who came to power as Russian president in 2012, interpreted massive demonstrations against the authorities in terms of Washington’s conspiracy while all these phobias spread into the Kremlin’s attitude towards NATO. The Ukrainian revolution of 2014 was a turning point in Europe’s history, perceived by Russia as an operation prepared by Western services and targeted against Moscow’s influence in the post-Soviet area. In March 2014, “little green men” were deployed to Ukraine’s Crimean Peninsula to immediately annex its territory. In an interview for Foreign Policy, David Ochmanek, an analyst for the California think tank RAND and a former Pentagon official, said that the U.S. administration was surprised after Putin began to send servicemen to the Crimean Peninsula. “We didn’t plan for it because we didn’t think Russia would change the borders in Europe,” he admitted. In 2012, Putin returned to Kremlin. He interpreted the demonstrations against his power as an American conspiracy, and a revolution in Ukraine at the turn of 2013 and 2014 as the operation of Western services in the post-Soviet space. On April 1, 2014, NATO foreign ministers decided to suspend all practical cooperation with Russia. Moscow continued to destabilize Ukraine, aiming to overthrow Kiev’s pro-Western authorities, as a result of which a civil war broke out in Donbas, with local separatists supported by Russian services and “volunteers” from Russia. Later this year, Russian troops conducted even an armed intervention, aimed at preventing the rebellion to be liquidated by Ukraine’s government forces. Russia’s invasion of Crimea and Eastern Ukraine, as well as Moscow’s provocations near NATO’s borders, clearly showed that the Alliance’s deterrence and defense were as important as ever. NATO’s further decisions strengthened its containment and defense strategies, yet the Alliance remained open to political dialogue with Moscow. Following Moscow’s aggression of the Crimean Peninsula, the North Atlantic Alliance took some concrete steps, an example of which was a road map for rebuilding military capacities of the pact, adopted at the NATO summit in Newport, Wales, in September 2014. Also, units of NATO Response Force (NRF) were tripled to over 40,000 servicemen, within the framework of which Very High Readiness Joint Task Force (VJTF) would be created, able to be deployed within a few days maximally. After the Kremlin’s annexation of Crimea, NATO decided to deploy within the framework of the Baltic Air Policing operation sixteen aircraft, compared to only four before, of which only eight remained in the autumn of 2015. Nonetheless, NATO began its activity at a relatively lower level, which meant that Russia’s conventional forces got more advantages over in the Alliance in Europe, with the NATO’s eastern flank being particularly exposed to all threats from Russia. After the annexation of Crimea, NATO took concrete steps. 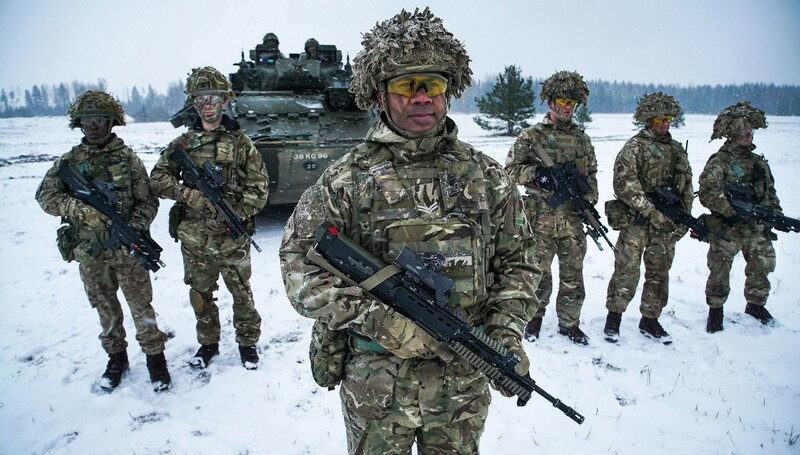 The NATO Response Force has been doubled to more than 40,000 people, creating within them a few thousand strong emergency forces that can be put into action in a maximum of a few days. In May 2015, Petr Pavel, who served at that time as the Chairman of the NATO Military Committee, told that “Russia would be able to occupy the Baltic States within two days, despite their NATO membership.” At the Senate Armed Services committee nomination hearing to be chairman of the Joint Chiefs of Staff in July 2015, General Joseph Dunford said “if you want to talk about a nation that could pose an existential threat to the United States, I’d have to point to Russia,” adding that “if you look at their behavior, it’s nothing short of alarming.” All the decision-makers, including analysts, generals and politicians, needed to reorient their way of reasoning, adapting it to the pre-1991 strategy, both in the field of concepts and fundamental military behaviors. “It’s pretty clear we’re going to have go back and start exercising some of the same stuff we used to do in the Cold War,” Air Force (USAF) General Frank Gorenc, the commander of U.S. Air Forces in Europe and Africa, told in September 2015. In late January 2016, the U.S. Army published a new military strategy for Europe, enlisting “warnings against Russian aggression” as one of the top priorities while five remaining ones provided for strengthening NATO as an alliance and maintaining strategic U.S. partnerships. Under the strategy, Russia persists as a challenge for U.S. allies and partners worldwide. A similar approach was adopted by U.S. intelligence services. In his testimony at the Senate Committee meeting on February 9, 2016, Director Of National Intelligence James Clapper said that Russia is paranoid about the North Atlantic Alliance, which will prompt Moscow to continue its aggressive pursuits. Russia was put at the forefront of a global threat assessment report while Clapper said that Russia’s intervention in Ukraine and its further activities may spark off another cold war between Moscow and Washington. The following NATO summit aimed to confirm plans to strengthen the Alliance’s eastern flanks while adopting comprehensive decisions that would adapt NATO to a new security situation in Europe, according to which Russia emerged as the main threat to peace. 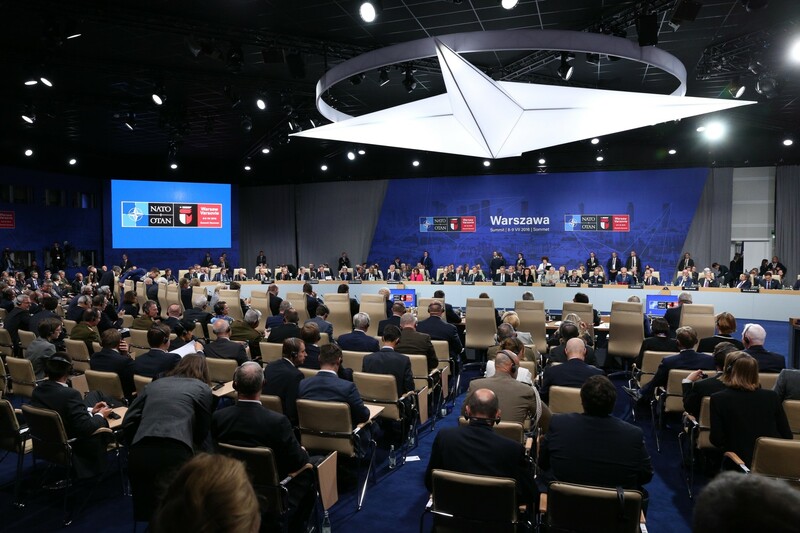 At the Warsaw Summit in July 2016, NATO leaders made clear that an improvement in the Alliance’s relations with Russia will be contingent on a clear and constructive change in Russia’s actions, one that demonstrates compliance with international law and Moscow’s international commitments. Until then, NATO and Russia cannot return to “business as usual.” Channels for communication nevertheless remain open, with the NATO-Russia Council, an important platform for dialogue, never been suspended. Six meetings were held from April 2016 to October 2017 and nine – also to March 2019. NATO and Russia also maintain open military-to-military lines of communication. Moscow’s hostile attitude towards NATO was corroborated by the former’s endeavor to impede Montenegro’s bid to join the Alliance. 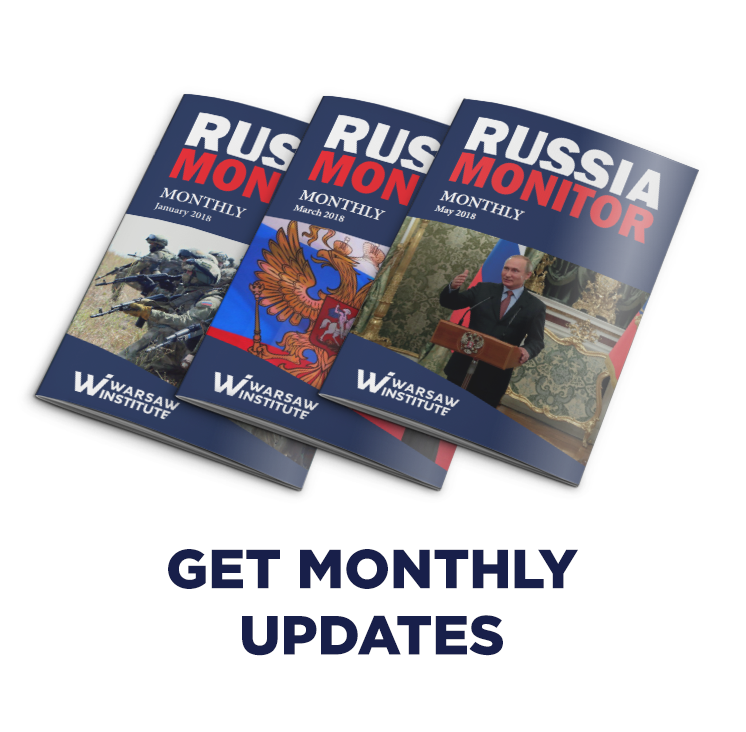 In October 2016, Russia’s military intelligence services (GRU), aided by a group of Serbian nationalists, made an attempt to overthrow the Montenegrin government. Following the failed coup, Montenegro ultimately joined the North Atlantic Alliance in May 2017. 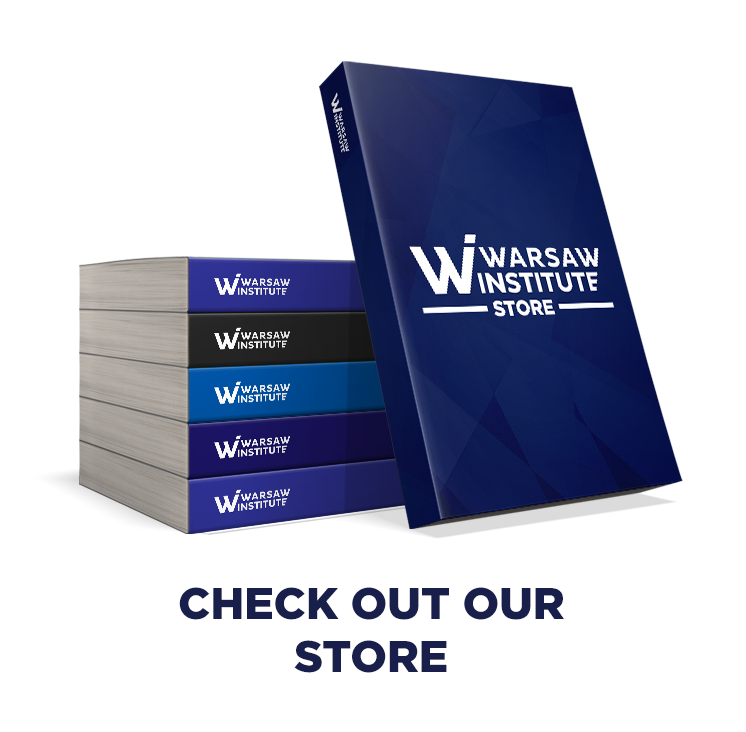 Earlier that year, on February 10, 2017, NATO defense ministers met in Brussels to make a series of decisions that eventually gave more momentum to the conclusions of the Warsaw Summit. NATO officials have adopted a plan to enhance militarily the Alliance’s eastern flank, which has taken place for the first time since the end of the Cold War. This was equivalent to NATO’s return to its former block confrontation mechanisms that were a characteristic feature at that time. “We have agreed on rules for modernizing defense and deterrence capabilities,” NATO Secretary General Jens Stoltenberg said on February 10, 2017, adding that “NATO defense ministers agreed on an advanced military presence in the eastern part of our Alliance.” Prior to the Brussels meeting, Washington had announced the fourfold increase in the U.S. military expenditure in Central and Eastern Europe. In 2017, NATO defense ministers adopted a plan to strengthen forces on the eastern flank for the first time since the end of the Cold War. This meant that the Alliance was returning to the block confrontation mechanisms – characteristic of the Cold War. Speaking of the NATO-Russia confrontation, more and more attention was being drawn to all areas that went beyond purely military aspects, such as Moscow’s hybrid activities, including cyberattacks and operations performed by Russian special services. The Alliance has developed its capabilities in the above area, as exemplified by its enhanced defense and offensive potential in cyberspace and the allied reaction to the attempted assassination of a former GRU officer Sergei Skripal. On March 14, 2018, a Russian national and British resident was poisoned with a nerve agent, and it was highly likely that Russia stood behind the plot. NATO allies expressed their deep concern and condemned this breach of international norms. After intensive consultations among Allies and partner countries that took place at NATO headquarters and in capitals, more than 150 Russian diplomats suspected of intelligence activities were expelled by more than 25 nations. On March 27, 2018, the NATO Secretary General Jens Stoltenberg announced the withdrawal of accreditation of seven staff of the Russian Mission to NATO, as well as the denial of three pending accreditations, and the reduction of the maximum size of the mission to twenty. At all subsequent NATO summits, starting from the 2014 Wales Summit, NATO leaders voice opposition over Russia’s armed intervention in Ukraine, calling on Moscow to bring military activities to a halt and to withdraw its servicemen both from Ukraine and its border. The Alliance demands that Russia act in accordance with international law and honor its commitments, including putting an end to the illegal occupation of Crimea, refraining from aggressive actions against Ukraine and halting all supplies of weapons, military equipment, money and servicemen to the so-called people’s republics in Donbas. Attention should be drawn to NATO’s concerns over Moscow’s destabilizing actions that seem to have gone far beyond Ukraine, affecting also NATO borders extending from the Baltic to the Black Seas. 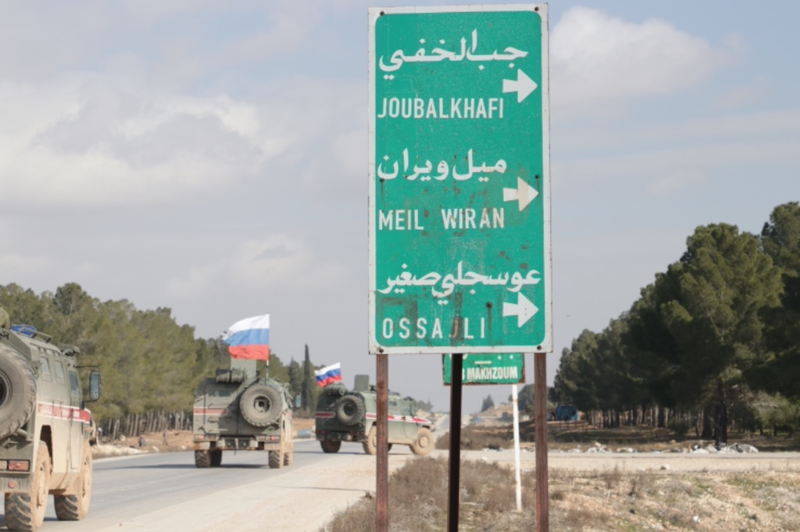 The Alliance condemned the Kremlin’s irresponsible and aggressive nuclear rhetoric, military intimidation and all risks caused by Russia’s armed involvement and support for the al-Assad regime in Syria. NATO’s concerns about Russia’s destabilizing activities go beyond Ukraine and concern military provocations near the NATO borders from the Baltic to the Black Sea. The Alliance condemns aggressive nuclear rhetoric and Putin’s support for Asad’s regime in Syria. On October 5, 2015, NATO responded to Moscow’s military intervention in Syria, urging the Kremlin to halt attacks on Syrian opposition and civilians and to focus on the fight against the so-called Islamic States while fostering peace solutions to be introduced on the way of political transformation. In April 2018, NATO allies voiced full support for a military operation to be conducted jointly by the United States, the United Kingdom and France as a response to the use of chemical weapons by Russian-backed al-Assad regime. NATO member countries consistently express their full support for the territorial integrity of Moldova and Georgia, which takes place within their internationally recognized borders, urging Russia to withdraw its forces from the separatist regions of Abkhazia, South Ossetia and Transnistria. Furthermore, the Alliance condemned the Kremlin’s military activities along its borders, claiming it to destabilize the Euro-Atlantic security, among which were unexpected drills carried out in the proximity of the Alliance’s boundaries, intentional violating of NATO members’ airspace and large-scale maneuvers, during which Russian armed forces practice scenarios of a conflict with NATO. Also, NATO allies have pointed to the Kremlin’s non-military activities that pose a threat to Euro-Atlantic security, with particular regard to hybrid warfare, including foreign electoral intervention and conducting cyberattacks and disinformation campaigns. NATO’s intention is to accelerate the process of deploying its forces in Europe. 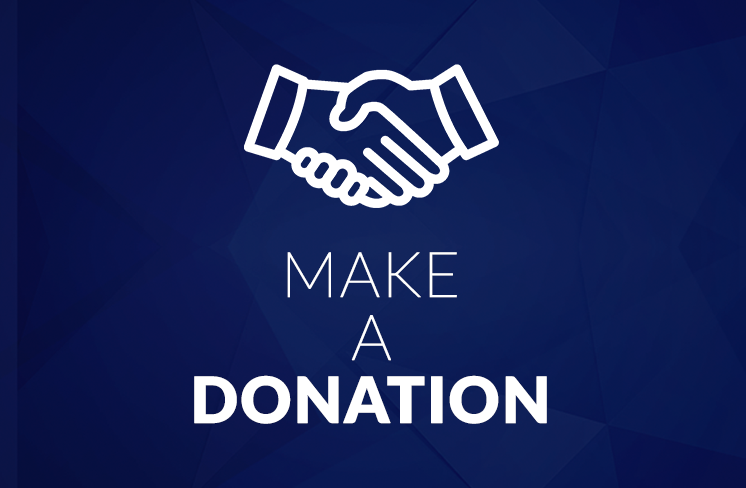 NATO member states are at present committed to implementing a so-called readiness initiative, an idea put forward at the NATO Summit in Brussels in 2018. Referred to as the 4x30 initiative, the U.S.-proposed program would require the alliance to have, by 2020, 30 land battalions, 30 air fighter squadrons and 30 ships ready to deploy within 30 days of being put on alert. Moreover, the North Atlantic Alliance makes investments in military infrastructure that is of key importance for transferring servicemen and heavy equipment yet has not been modernized since 1991. By 2021, NATO intends to complete around 250 infrastructure projects across Europe to improve the capacity of airports, ports, railways and roads to transport and receive heavy equipment. NATO members are implementing the proposed U.S. „readiness initiative”, known as 4 x 30, which aims to ensure that by 2020 NATO will have 30 mechanized battalions, 30 aircraft squadrons and 30 battle warships ready to be used within a maximum of 30 days. Also, the $260 million NATO storage facility for U.S. units stationed in the region will be built near Powidz, in central Poland. Located about fifty kilometers far from Poland’s western city of Poznań, the facility will be one of five storage buildings to house armored vehicles, ammunition and weapons for a brigade. Two more storage facilities will be located in Germany and one in Belgium and in the Netherlands respectively. The practice of “pre-positioning” equipment in strategic locations has been known since the Cold War era and is aimed at making it easier to deploy resources quickly in a crisis, which is cheaper than a permanent base dislocation. NATO has increased defenses along its eastern flank in the wake of Russia’s annexation of Crimea, its role in the ongoing Ukraine conflict and deploying military forces by its border with Europe. Multinational NATO battlegroups have been deployed in Poland, Estonia, Lithuania and Latvia. Poland is also home to a U.S. Armored Brigade Command, within the framework of which American troops are stationed on a rotational basis as part of NATO operations. Russian officials considered NATO’s decision to dislocate its military branches in such countries as Poland and Estonia to violate the NATO-Russia Act of 1997, the document which is deemed by a large group of Western politicians as a founding paper of the post-Cold War era, urging that their provisions need to be complied with. This was, however, a merely political agreement and not a legally binding international treaty. Among NATO structures, there are more and more voices claiming that the 1997 Act ceased to apply at least in 2014 when Russia illegally annexed the Crimean Peninsula, drastically violating provisions of the Paris agreement. Also, the declaration provided for banning the deployment of nuclear weapons on the territory of new members yet with the exception of all situations in which the security situation in the region changes in a serious manner. This has already taken place so nothing seems to prevent NATO member states from setting permanent military facilities on the Alliance’s eastern flank. The dissolution of the Soviet Union put an end to the Cold War while modifying international relations that so far had been perceived in a bipolar manner. Soviet coalition military doctrine ceased to be valid while post-Soviet Russia, which emerged after 1991, was stripped of its status of one of the world’s two superpowers. Under subsequent war doctrines as well as national security and foreign policy concepts, attention was drawn to the role of Russia as a global superpower, with all its interests worldwide, most important of which were Moscow’s relations with NATO. The Kremlin initially thought that the Alliance could dissolve, thus following the example of the Warsaw Pact, or its structures might be transferred into a purely political structure. According to one of the scenarios, Russia would join NATO and transform the Alliance into a collective security system, exemplifying in this manner pursuits that have been visible twenty-five years after the end of the Cold War. And yet Moscow has always seen NATO as a potential threat, extending a list of plausible dangers for Russia as enlisted in a number of subsequent strategic papers, of which most dangerous was enlarging military blocs and alliances in the immediate vicinity of Russian borders. Naturally, this was about NATO yet the Kremlin emphasized that no foreign state is treated as a potential opponent, nor was a feasible aggressor pointed out. Published in 2010, Russian military doctrine depicted the North Atlantic Alliance as the most serious external threat to the state security, stressing that NATO strives for granting itself global functions, which is to be done in violation of international law. Among threats to Russia were NATO’s enlargement of Central and Eastern European countries and the U.S. plans to build an anti-missile shield in the region. The new military doctrine was adopted by Russian President Vladimir Putin on December 25, 2014. Last decisions to update its provisions were taken in the summer of 2013, which seems to confirm that the document was not only drafted as a response to the crisis in the NATO-Russia ties after the Kremlin’s annexation of Crimea. The Russian military doctrine of 2010 pointed to NATO as the most important external security threat. It was emphasized that the Alliance seeks to grant itself global influence in violation of international law. All changes introduced to the doctrine resulted from the general shift in the state policy after Vladimir Putin was inaugurated for the third term as Russian president and after a large-scale military reform of 2008, the biggest since 1991. “A determining factor in relations with NATO is still the unacceptability for the Russian Federation of the alliance’s increased military activity and the approach of its military infrastructure toward Russia’s borders, the building of a missile-defense system,” the document reads. A practical complement to the theoretical doctrine was a so-called defense plan. The decree on entering Russia’s latest defense plan for 2016–2020 starting from January 1, 2016, was signed by President Vladimir Putin in mid-November 2015. The paper replaced an equivalent document that had been in force from 2013 to 2015. According to one of the theses contained in Russia’s defense plan for 2016–2020, the United States and its allies seek to assume a leading position worldwide, which is to take place at the expense of Moscow and its independent policy. The document provides for a comprehensive framework for upgrading Russian armed forces, including its strategic nuclear units, while defining the proper use of branches of Russia’s Western Military District. On December 11, 2015, President Vladimir Putin took part in the Russian Defense Ministry’s annual board meeting, during which Defense Minister Sergei Shoigu depicted the Ministry’s goals to be implemented in 2016. 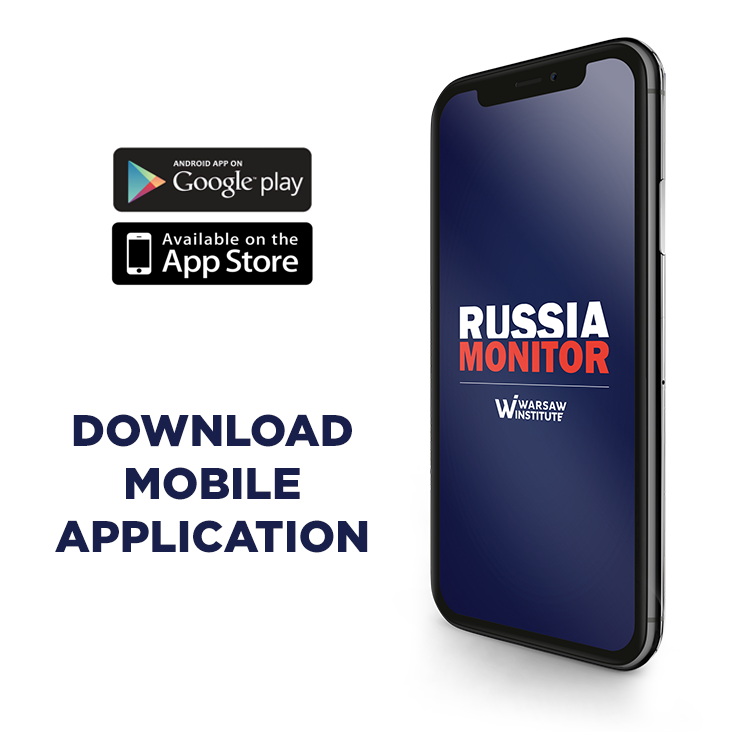 Speaking of Russia’s confrontation with the United States and NATO, attention is paid to Moscow’s intention to strengthen its strategic directions in the West, Southwest and the Arctic. Russian officials and generals scoffed at all plans to increase NATO’s capabilities in the region and threatened to use retaliatory measure against the Alliance. The Kremlin rhetoric seems, however, to ignore the fact that Russia’s aggressive policy sparks off the West’s reaction: Moscow deploys dangerous weapons at the NATO borders, violates disarmament treaties, tests the army’s combat readiness before a regular war, and threatens the use of tactical nuclear weapons. In 2015, Russia suspended its participation in meetings of the Conventional Armed Forces in Europe (CFE) Treaty. Since then, Russia has no longer informed the West about its conventional forces, concealing all information about the state’s military potential. For 70 years of its existence, the North Atlantic Treaty Organization has demonstrated its flexibility and ability to adapt to rapidly changing international conditions. Its particular importance was shown back in the 1990s when the Alliance continued to exist, even despite the fall of the Soviet Union and the end of the Cold War. Instead, NATO allies specified a set of new objectives and managed to expand, attracting new members. The Alliance served as a tool for stabilizing the volatile Central and Eastern Europe region, as exemplified by accepting new member states, a tendency that deems particularly visible in the Balkans. It is a paradox that, despite earlier rumors about the end of the Alliance, the aggressive policy of Putin’s Russia brought NATO into further existence, making the Alliance return to the Cold War-like reasoning, both in politics and military issues. To efficiently deter Moscow, it is vital to convince the Russians that NATO is committed to defending each of its members in a highly efficient way, a step that explains the need to further strengthen the Alliance’s eastern flank. Also, NATO ought to invest in heavy equipment and armaments that will minimize all threats posed by Russia’s anti-access/area denial (A2/AD) strategy, salient elements of which are latest generations of combat aircraft and anti-submarine weapons. To efficiently deter Moscow, it is vital to convince the Russians that NATO is committed to defending each of its members in a highly efficient way, a step that explains the need to further strengthen the Alliance’s eastern flank. Besides, NATO allies need to try their utmost to show Russia that its nuclear blackmail proves completely useless. They should equally increase both the frequency and scale of military drills held in the regions bordering Russia, taking into account the NATO Response Forces while boosting combat readiness of all NATO allied units. NATO allies should also concentrate on simplifying and shortening decisive and command mechanisms. Naturally, it is still valid to protect the Alliance against hybrid and informational warfare methods. This ought to take place while expanding a specific NATO+ program that would tighten military cooperation with non-NATO members, such as Finland and Sweden, that are at risk of Russia’s intervention. Furthermore, the Alliance should commit itself in supporting the defense capabilities of Ukraine, Georgia and Moldova; as long as they are not ruled by pro-Moscow regimes, the direct military threat for NATO seems relatively weak. The post-Soviet area, along with the Balkans, should now be where the Alliance will expand its presence. Five years after Moscow’s annexation of Crimea it is essential to introduce substantial changes to NATO doctrinal papers, officially admitting that Russia is a threat posed to the Alliance and its immediate rival. In 1997, this platform for dialogue was replaced by the Euro-Atlantic Partnership Council, a multilateral forum that brought together all NATO member states and its partners in the Euro-Atlantic area. Bulgaria, Romania, Slovakia, Slovenia, Estonia, Latvia and Lithuania. 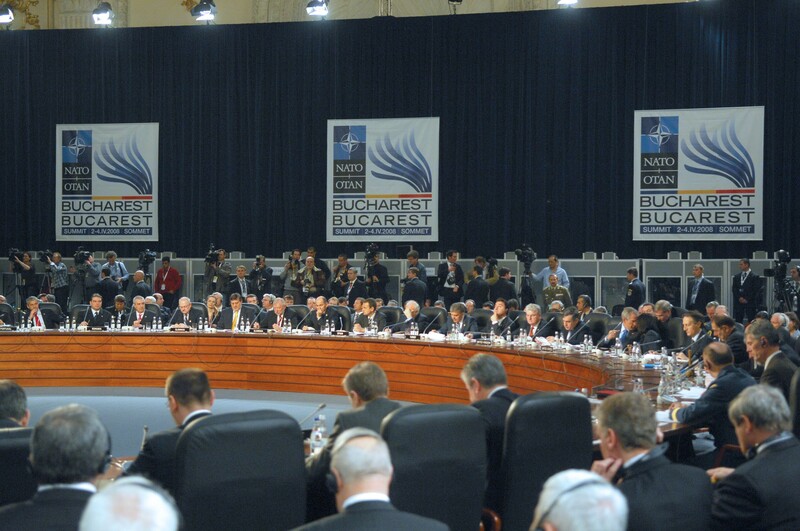 Allied leaders agreed at the Prague Summit in November 2002 to create a NATO Response Force (NRF). Under the NRF concept, allied countries declare their armed forces for the period of six months.